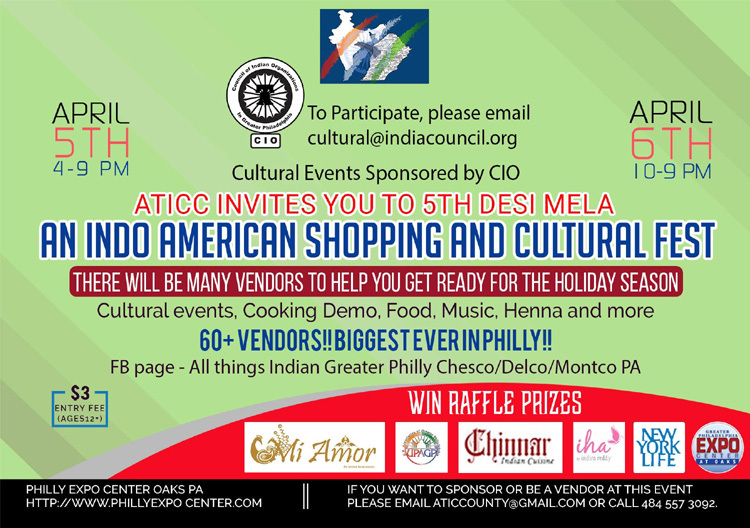 ATICC invites you to an Indo American shopping and food fest "5th Desi Mela" on April 5th and 6th at Greater Philly Expo center Oaks PA. 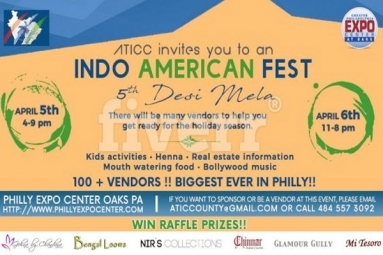 There will be many vendors to help you get ready for the holiday season, Kids activities, Henna, Real estate information, Mouth watering food and Bollywood music. There is an entry fee of $3/person payable at the entrance.